A new kid has just arrived. Fresh from the the oven, a Responsive Blogger Store template specially built to help and support mum-preneurs, home dads, students, single mothers, house wives and who ever wants to rake some extra earnings via on-line trading. 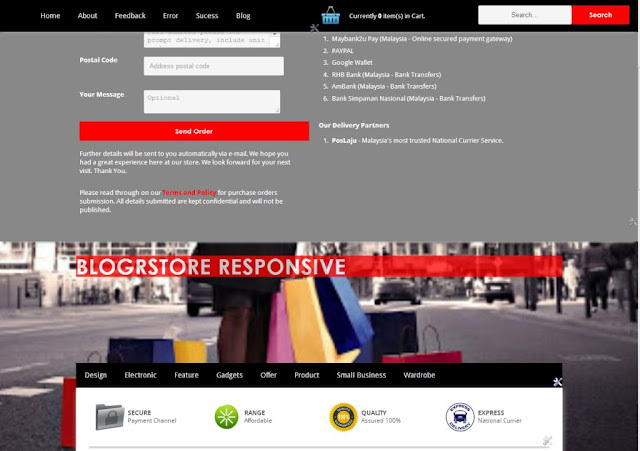 Dubbed BlogrStore Responsive, an upgraded framework, which was also used for template brother, BlogrShop Responsive Blogger Template, which is currently a hit with blog owners and small business individuals in the west region. Today it's not a template release nor a tutorial on the new BlogrStore Responsive Blogger template, but more a less a quick feature and sneak preview for those thinking on building their own blog shop in the coming future. Responsive Blogger template design and works for smaller screen sizes. 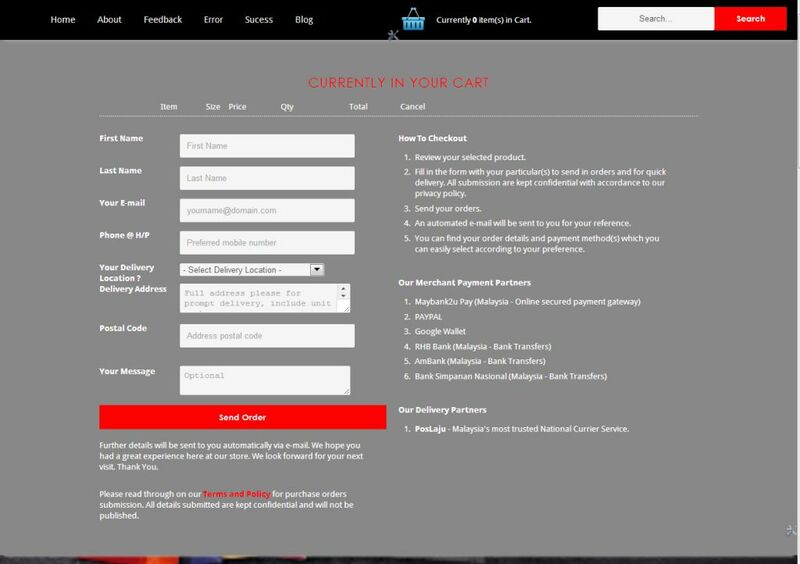 Add to cart shopping cart feature. Automated invoice e-mail with custom data integration. Upgraded mobile navigation button and links display. Cleaner structural template codes with guides/statements. Cleaner media queries codes for mobile display. Customize checkout display and styling with HTML included. Added Feature Product Display by Labels and Offer Product Display by Labels/Categories for easy product display management on pages. Added related product by Labels/Categories. Larger image size display for product post pages. NEW - Added thumbnail image display, integration with Blogger FancyZoom Image gallery effect. NEW - Responsive fixed background image pre-installed. And it does NOT work on old IE yet! Well for sure the list will go on and on and probably best you hop by the DEMO page here to have a glimpse and look. Do test by re-sizing your browser to see how layouts switch accordingly. 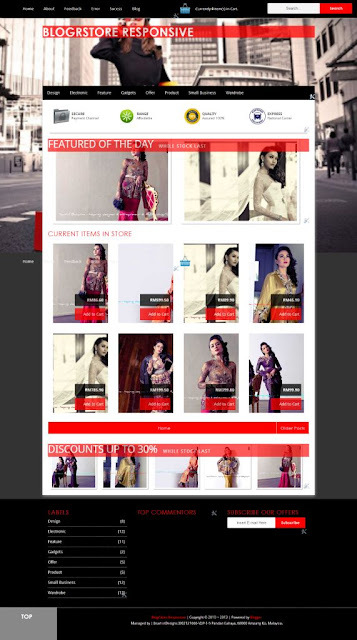 Take note that the BlogrStore template is still under further tests and most probably be out soon. Hope it will provide the necessary tool to help out your on-line business ventures and more relevant towards your respective niche or industry. Customize checkout display and form via Blogger widgets - initial codes will be included. If you have any thoughts / comments / additional features, please tell us down below. Your ideas, if chosen will be featured in one of our selected template downloads. You probably know how powerful link building via free downloads would be with search engines right? Join the fun and always be relevant.